BRUcloud is the open data sharing platform for the BRUcargo community. Compared to other cargo community systems, the BRUcloud’s main priority is not digitizing the existing messages and communication between the different actors, but making data sharing in a cloud environment possible. It enables the different stakeholders the air cargo supply chain to work more “integrated” and act as a network. Data will be stored only once, centrally. Once a company is connected to the cloud, it can start using the different existing applications and can start exchanging information very easily with other stakeholders instead of maintaining system-to-system connections with all different partners individually. 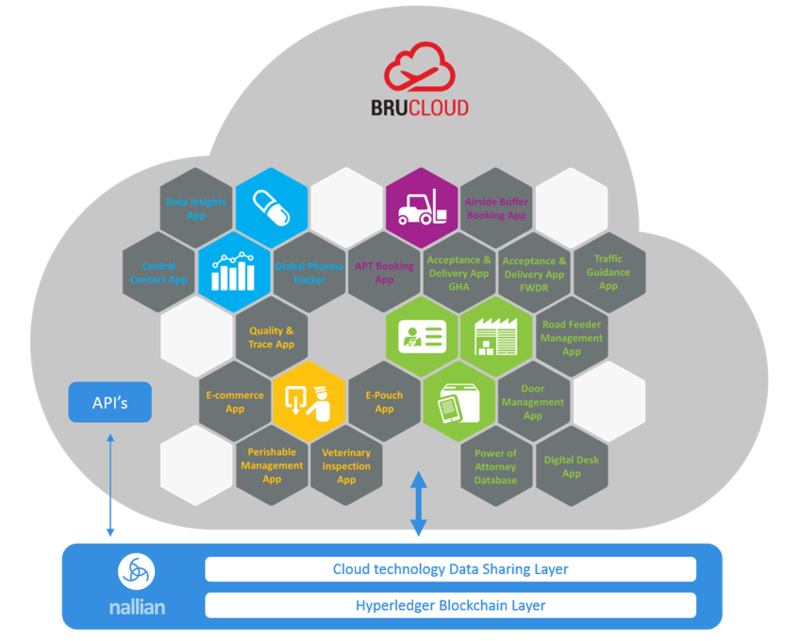 BRUcloud is based on Nallian’s data sharing technology. The source stays in control of its data and can define which data-field is shared with whom and for which purpose. The value proposition of the air cargo industry is all about speed and quality. 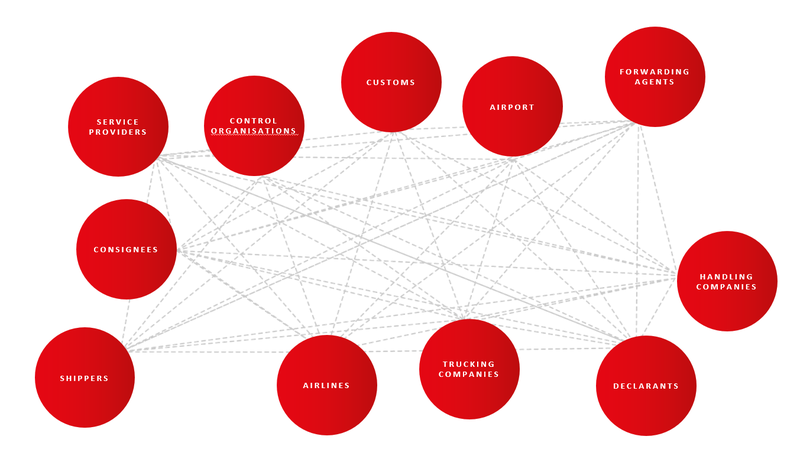 Lots of different players are involved in the air cargo supply network, which leads to fragmentation and non-coordinated processes. The traditional air cargo industry faces many challenges to boost its competitiveness towards other transportation modes as well as the express or integrator service providers. Fragmentation, data-duplication and paper-based procedures result in inefficiencies and lack of transparency. The different stakeholders cannot improve this situation from their individual point of view, as often in-house supply chains and processes have been optimized to the maximum. This is the reason we started with the roll out of a data sharing platform at BRUcargo: the BRUcloud. What's in it for me? Apps! 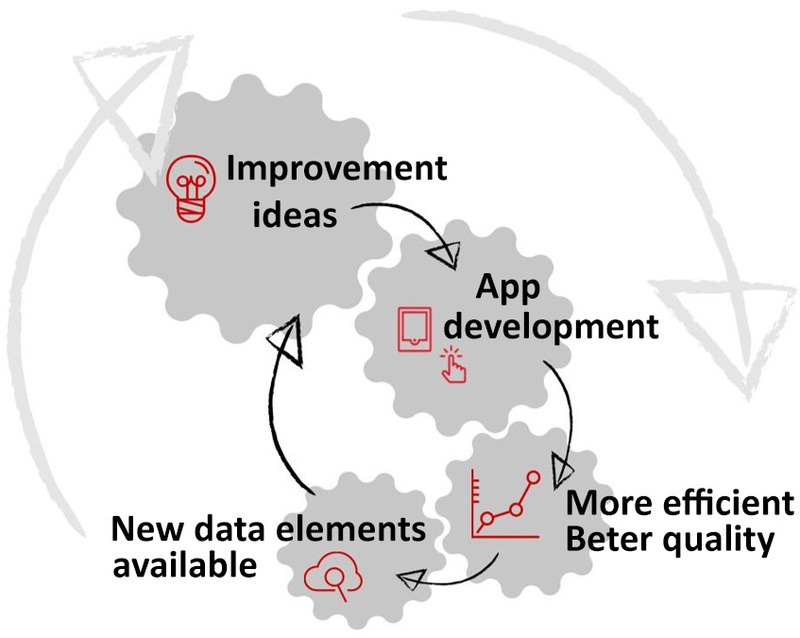 Different applications create new insights, quick wins, quality improvements and efficiency gains for the involved stakeholders, by streamlining processes and standardizing data exchange. Apps focus especially on interaction processes between multiple stakeholders, taking place outside the facilities of the involved stakeholders. Apps are plugged-in into the BRUcloud and feed the cloud with operational data on the one hand. On the other hand each app can make use of already existing data out of the cloud. It’s clear that this will drastically decrease data duplication and errors following from paper based processes and re-keying the same information again and again in each in-house system.